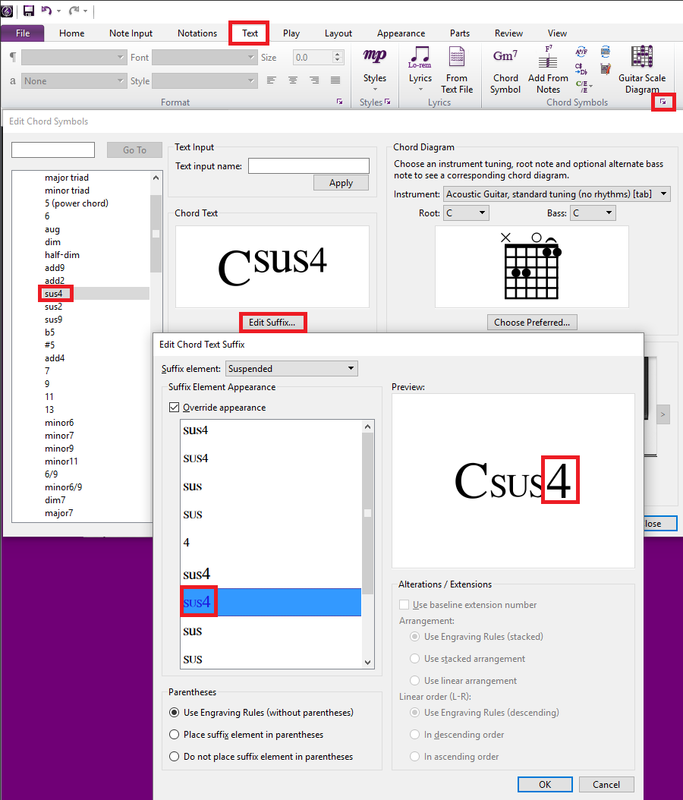 As shown in the picture on the left, sus4 is present at the upper right of D.
However, as shown in the picture on the right, I would like to put sus under D and 4 in D superscript. This is my chord symbols setting..
Re: How can I change sus4 style in chord symbol? Close as I can come is to use edit chord symbols from the Text tab. I was able to come up with "C4" where the 4 was smaller and raised. I suppose you could create your own set of symbols and import them into Sibelius. bobp wrote: Close as I can come is to use edit chord symbols from the Text tab. I was able to come up with "C4" where the 4 was smaller and raised. I suppose you could create your own set of symbols and import them into Sibelius. Do you mean create my new symbols in Edit Chord Symbols of Text tab? But I can't find any way to make smaller and raise 4. The same way you can import other fonts into Sibelius, I think you could create a set of chord symbols and import them into House Styles. 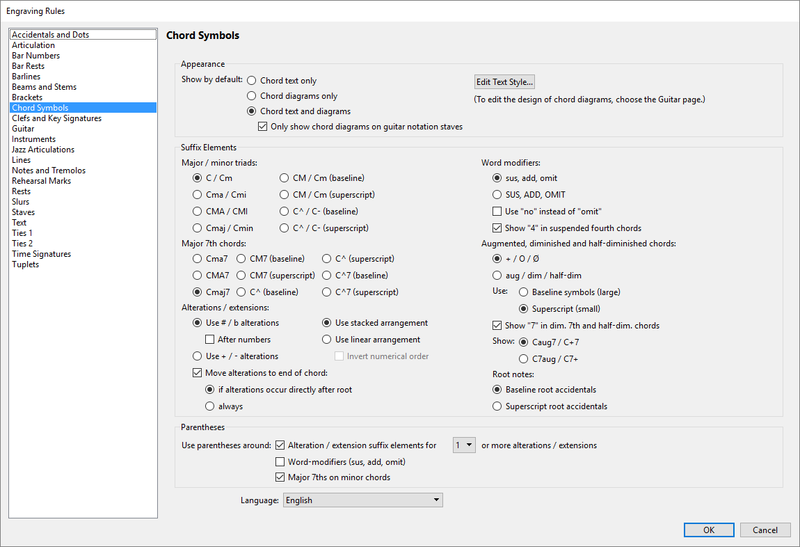 bobp wrote: The same way you can import other fonts into Sibelius, I think you could create a set of chord symbols and import them into House Styles. I think it so weird..
Because the default chord symbol style follow "Chords (standard)" and "Chords (standard)" style express sus4 that what I want to express. But in the music score, the style looks like doesn't follow "Chords (standard)".. what's wrong with sibelius..